Try MeshCAM Free for 15 days with no limitations. You have a simple goal, to take a CAD file and get your mill to cut it. You donâ€™t want to become an expert on CAM software, you want parts today. MeshCAM is made for people who just want to make parts now. Donâ€™t let the simplicity fool you, MeshCAM has lots of flexibility and options for advanced machining. MeshCAM works with almost every 3D CAD program by opening the two most common 3D file formats, STL and DXF. If you just want to make 2D parts without using a 3D CAD program, you can load 2D DXF files (in R12 format) and extrude them to a 3D part. If your CAD file can generate an STL file, itâ€™ll work. 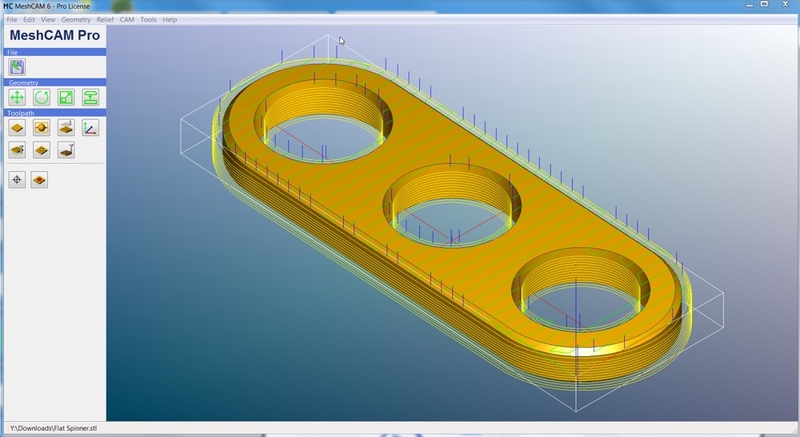 Sometimes you need a part that cannot be designed with a traditional CAD program. Sometimes you donâ€™t even have a CAD program. If this sounds like you, donâ€™t worry. You can open any image file (JPG, BMP, or PNG) in MeshCAM and the image will be converted to a 3D surface that can be machined directly. Users have come up with incredible uses for this feature to make parts that would be almost impossible with a traditional CAD program. If your CNC machine takes normal gcode then it will work with MeshCAM. The post processor format is fully documented in the help file so you can make changes if you find the need. If you find problems with the built-in post processors then email us, weâ€™d be happy to see if you can make modification for you for free. The worst part of any new CNC software is being confronted by a wall of settings to create a toolpath. Stepover, stepdown, waterline, threshold anglesâ€¦ Do you want to learn a whole new language just to get your first toolpath? MeshCAM has an Automatic Toolpath Wizard that picks as many of those values as possible so that you donâ€™t have to. You just pick the cutters, tell MeshCAM the desired quality level, and it will analyze the model to pick values to get you started. You can tweak them to make them better or use them as-is. If you already know what youâ€™re doing then donâ€™t worry- you still have complete control over all of your toolpath settings. Every part requires a slightly different approach to machine it efficiently. If your CAM software doesnâ€™t give you enough toolpath strategies then youâ€™ll spend more time to machine your part or youâ€™ll give up finish quality. This is not something you have to worry about with MeshCAM. MeshCAM has more toolpath options than any competing CAM program. This combination of toolpaths will machine almost any part you can imagine. Some parts are very difficult to machine because they're very difficult to hold down. Clamps and vises get in the way and turn what should be an easy job into a complicated one. MeshCAM lets you add supports/tabs to your part so that it remains connected to the stock during machining. The supports hold the part in place so you can keep the cutter away from your vise. MeshCAM does this without help from your CAD program so it doesn't depend on anything but MeshCAM itself. MeshCAM was designed from the start to support HUGE 3D files. Huge in physical size and huge in file size. Users are making boats and large museum exhibits in MeshCAM using large CNC routers. Jewelers and engineers are making incredibly detailed parts with files that contain millions of polygons. MeshCAM Pro includes a 3D toolpath simulator that will show you not only where the tool will go, but how the finished part will look. 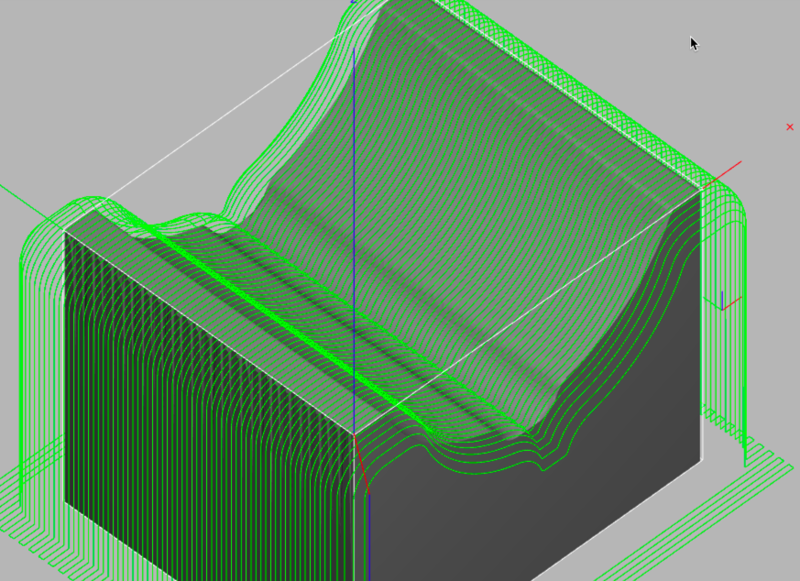 Sometimes you don't have time to run a toolpath to see how it will turn out, or you can just use simulation to try different settings to see how the part changes. This is the absolute fastest way to see what your parts will look like with no wasted time, cutters, or stock. On Windows, MeshCAM runs on Window Vista, Windows 7, 8, and 10 and on Macs with OSX 10.9 or higher. It requires a minimum of 2GB or RAM . You can try MeshCAM for 15 days with no restrictions, totally free. Click here if youâ€™d like to get started right now. Try it with your files and your CNC machine. The only limit is time, the ouput is not limited in any way. Look around for pricing for other CNC software and youâ€™ll see a lot of â€œRequest a quoteâ€� or â€œCall usâ€� buttons. Do you really want to get on the phone with a sales guy just to get a price? Can you even be sure that youâ€™re getting the best price? MeshCAM pricing is totally open and transparent. Itâ€™s $250 for MeshCAM Standard or $500 for MeshCAM Pro. No calls, no requesting quotes. You can buy it online without talking to sales people. No maintenance fees, free updates, and no "cloud"
Itâ€™s no secret that software companies are doing everything they can to move their software to the cloud. It would be great to believe that the transition to cloud software is for your good but itâ€™s not. Itâ€™s a way to extract more money from the customer. When you buy MeshCAM it runs on your machine, not the cloud. You will not pay monthly or yearly fees to keep it active. You will get all updates to the current version of MeshCAM (currently Version 7) forever. If a new version is released within a year of your purchase, youâ€™ll get it for free. MeshCAM was first released in 2004 so itâ€™s been around for a while. Since then, there have been 7 major versions, hundreds of releases and tens of thousands of downloads. We have plenty of ideas left and a big todo list. Weâ€™re going to be doing this for a while. Go to the download page to get a totally free 15 day trial. Youâ€™ll be up and running instantly, with no limitations. If you have any questions at all, contact us! Itâ€™s no problem if you need more time to try MeshCAM. Just email us when the trial code expires and weâ€™ll send you another one (or two).